As we rapidly approach the holiday season of 2018, planning our gatherings to support a healthy season of recovery is the greatest gift we may give to ourselves and our loved ones. Many of us shudder as we recall ghosts of Christmas past. Whether you are seasoned in recovery or a newcomer, there are strategies that can help us navigate these, sometimes, tricky waters. 1. Put your recovery first. This notion is typically one of the first things to go. We may feel like we owe it to others to go above and beyond due to our undesirable discretions of the past. This increases stress and may diminish our chances for executing a successful plan. Remember, you can’t change the past; however, you can change what you do today. By putting your recovery first, you work to ensure that you are in the best position possible to maintain abstinence from your drug of choice. Abstinence during the holidays is a win-win for you and your loved ones. 2. Create new traditions. Some of the traditions we have followed for years may not be congruent with being recovery-friendly. If one of your family’s traditions has been to serve wine with dinner, it is up to you to decide whether that is going to hinder your recovery efforts. You may make it through dinner just fine; however, if you find yourself frustrated and/or obsessing over the fact that you can no longer have a glass of wine, you may choose to do something different. Give yourself permission. 3. Make the holidays fun. You may be at a place in your life that you just want the holidays to hurry up and get over with so you don’t have to feel sad or self-pity because the holidays will no longer be the same. You can do something different. If you plan fun things, things that you like to do with other people that you like to do them with, you can change your outlook for the holidays. 4. Be honest with yourself. In addiction we became desensitized to the truth. Rather, we deny the truth and become intimately acquainted with lies we tell ourselves and others. One of the coolest parts of early recovery is regaining your sensitivity to the truth. Believe it or not, the truth brings a level of freedom we used to only dream about. Although we used to believe we were clever with some of the “stories” we told about why we needed to “run an errand” at 11:00 p.m., that kind of lifestyle was exhausting. Work to gain an appreciation for the simplicity of the truth. As we maneuver through the holiday season with a spirit of love and truth, our experiences will undoubtedly be more fulfilling and enjoyable. We will not be focused on the obsessions of our addiction. We can find joy in being sober and having a clear conscience regardless of where life takes us. We may not have the financial resources to buy presents or prepare big meals; nevertheless, we can freely give the gift of honesty, love and new beginnings through the holidays to ourselves and our loved ones. May your holidays be full of love, peace, joy and sobriety. 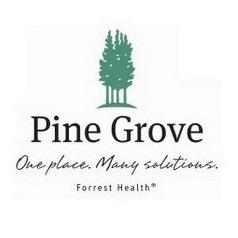 Susan Davidson is a Clinical Therapist for Pine Grove's Legacy program. She earned her Bachelor of Science degree from The University of Southern Mississippi, where she majored in Psychology and graduated with the Highest Honors. Davidson also earned her Master's degree from Southern Miss in Marriage and Family Therapy, she is certified in Cognitive Therapy (CBT) and trained in Eye Movement Desensitization and Reprocessing (EMDR).